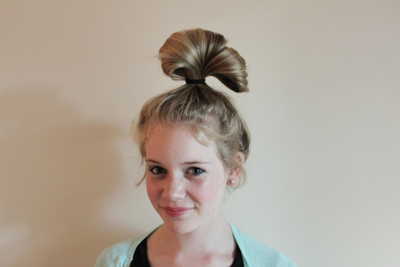 Want a fun way to style your hair, with a 'hair' bow like this you're guaranteed to stand out. 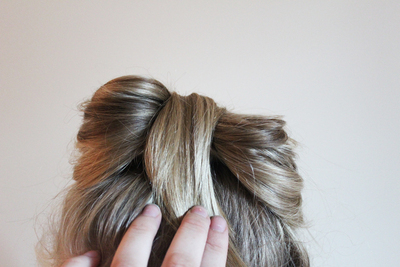 This is a messy bow, a hairstyle with plenty of fun that still stays casual. No hairspray, no teasing, just a hair tie and some bobby pins. 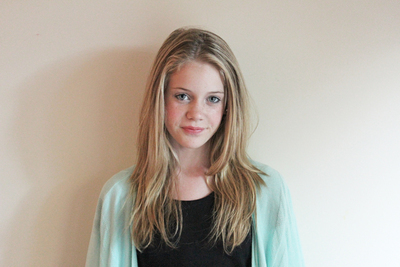 Start off by brushing your hair. 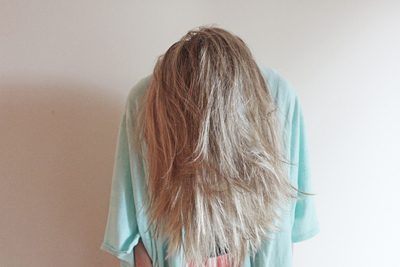 It's best if your hair is a little bit dirty, freshly washed hair is less likely to hold. Tilt your head forward, and brush your hair into a very high pony tail. 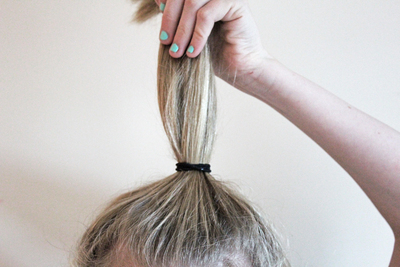 Loop the hair tie round, but with the final loop put your hair into a floppy bun. You should still have a bit of hair left behind your bun. 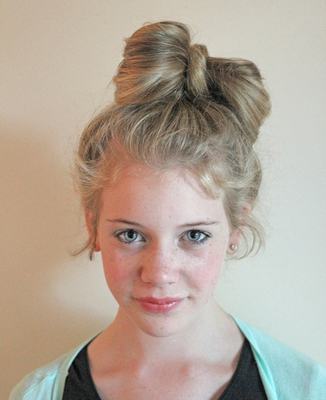 Split your bun in the middle, and bring the loose bit of hair over the middle. Wrap it about the base of the newly made bow so that it covers your hair tie. Fasten with a bobby pin. You're all done. 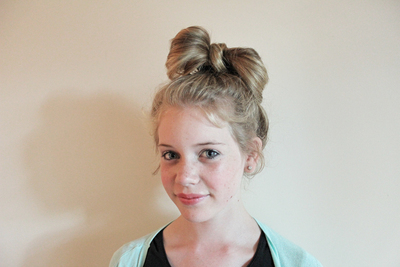 An easy hair bow without any of the hassle.